Work has been super busy. The project I’m working on is beginning to wrap up which is going to be very fast. But last weekend, and this weekend as well, I’ve been able to get away from the rush that is NYC. 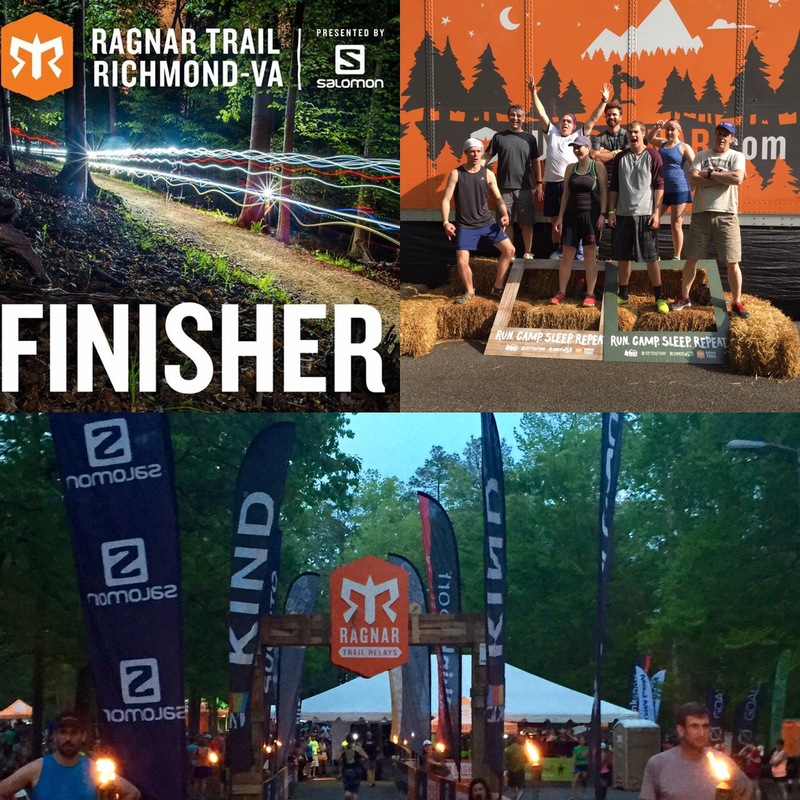 Last weekend some colleagues and friends ran another Ragnar Trail Relay in Richmond, Virginia. 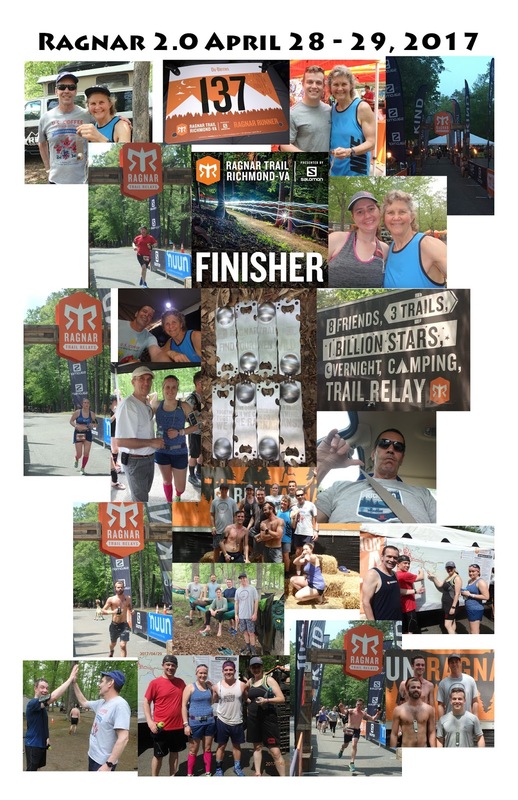 In contrast with our first Ragnar Trail in Wawayanda State Park last October which was cold and rainy, this Ragnar was HOT and HUMID. But regardless, we had a great team put together and that makes or breaks the atmosphere of it all. Thankfully, this one was also a blast! Each person finishing a leg of the race was pretty much soaked in sweat. 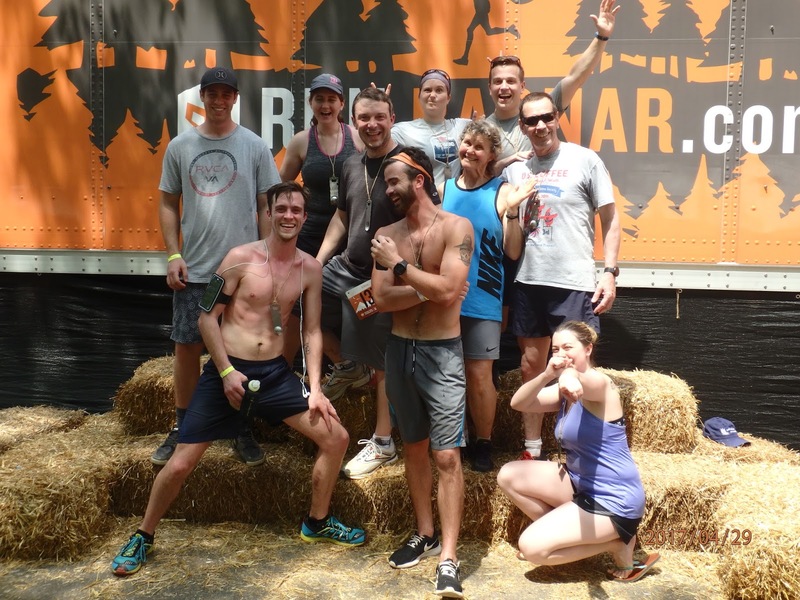 The state park didn’t have any shower facilities open and so by the end of the 28 hour relay, each person was so completely sticky and stinky and…well, you get the picture. Wowza! I had to shower so I used a waist-high faucet and cold water to wash some of the smell off of my so I could stand myself. I ran my three loops from about 12:00-1:30, then 10:00pm to about 11:30pm, and the last loop from about 6:30am to about 8:00am. The first loop was super humid and hot; had to run in just my shorts and sport bra. I fought cramping for the first couple miles and the heat in the end. I poured cold water from the water stations on my head and down my back. Second loop at ~10pm was cooler but still humid. 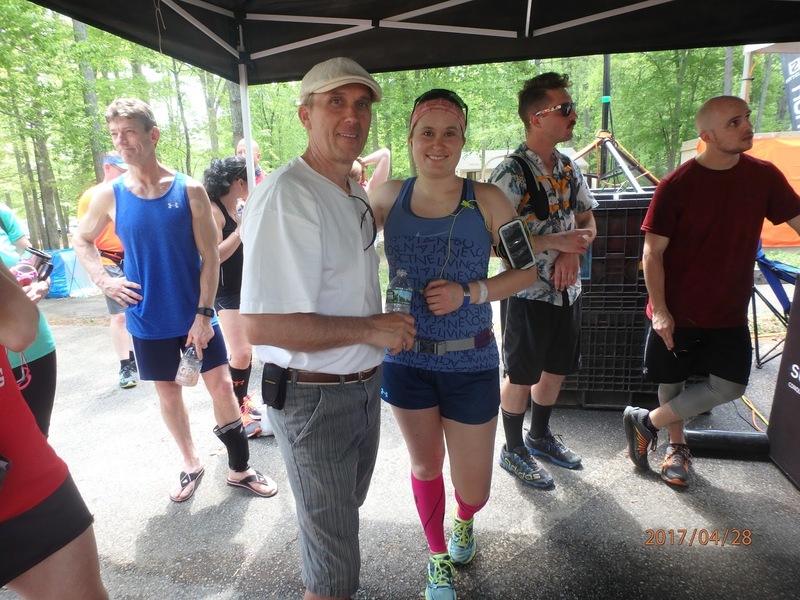 Last loop was again hot and humid and my knees hurt, my shins hurt, my feet hurt… at least my hips didn’t hurt. Anyway, 13 weeks left till I’m done with work and head out to experience some serious adventure and world travel. Super excited. Going to try to keep up with work over the next few weeks. Wish me luck. I decided to not attempt my first triathlon; final deliverables for my project somehow managed to be due the week before the triathlon meaning long hours, possibly weekend work, and less than adequate preparation for such a challenge. It’s slightly aggravating. So, I live to do a triathlon another day. In the meantime, I’ll start going back to the gym this week and keep myself in some sort of shape for the Tough Mudder Half that I’ll be doing in later July. But that will be better since I will have time to do a good amount of cycling which always builds up my leg strength and endurance. So, now I just have to squeeze in a ride now and then. Counting down the weeks… Until next time. Dad came to support and cheer us on! Finishing my first lap – super sweaty. Few of the good pictures put together. Ragnar 2.0 medals. 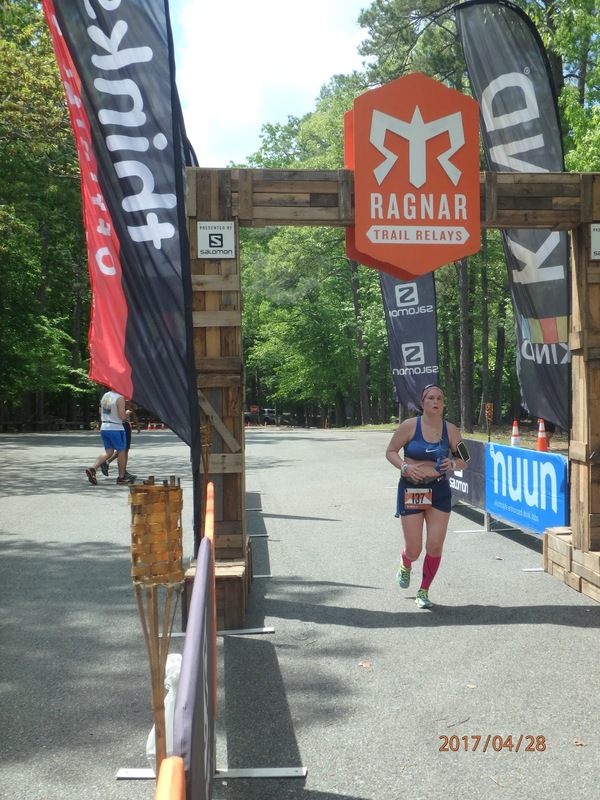 I think we need a Ragnar 3.0 next summer! !